Thomas Cruise Mapother IV aka Tom Cruise (DOB: July 3, 1962) is an acclaimed American actor who has not just won three Golden Globes but has also been nominated for the Oscars thrice. 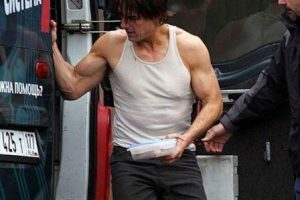 Famous for performing death-defying stunts, the 54-year-old actor always stays in amazing shape to play his roles in sci-fi thrillers and action flicks. To keep himself in peak condition, Cruise focuses on weight training, as well as on regular gyming, treadmill running, and fencing. The Mission Impossible star not just looks young but also moves like a guy half his age. In an interview, Cruise admitted that he does different activities like hiking, jogging, rock climbing, sea kayaking, swimming, and weight training seven days a week to maintain his lean, youthfully functioning body. Being a fitness buff, he hits the gym six days a week with his longtime friend David Beckham. For flexibility and balance, he switches up different types of cardio and strength workouts with climbing and fencing. Tom Cruise follows a 1200 calorie diet supposedly developed by his dear friend David Beckham. His diet contains substantially fewer amounts of carbohydrates, which keeps tissue and muscle damage in check, helping him in maintaining his youthful appearance. 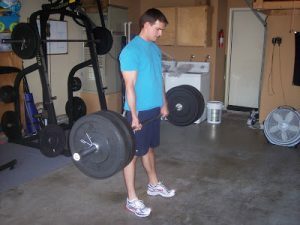 Aside from consuming vegetables, fruits, salads, and grilled foods, Cruise takes whey protein, casein, and other supplements to fuel his vigorous workouts. To maintain an optimum body temperature, he drinks plenty of water through the day but avoids fried and sugary foods. Avoiding junk foods and having whole diets is as important as following strict workout regimen. Taking fermentable carbs such as legumes and pulses are crucial since they produce less insulin as compared to grains and spuds, and lessen the chances of premature aging.